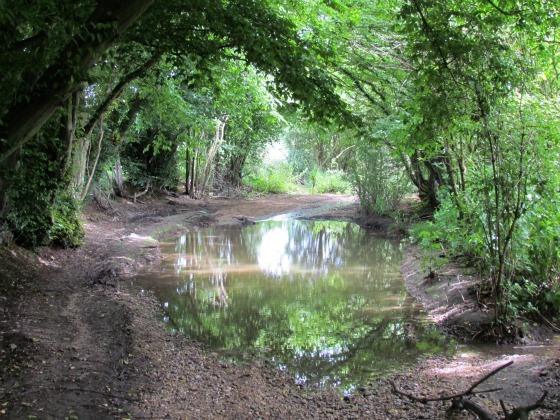 We've not explored the Colney Heath area much, but we are glad we did. This is a lovely circular heading south from the village and turning back just before the M25. It was that which had put us off, but it doesn't spoil the walk. There are two pubs in Colney Heath (there were four) and shops selling refreshments near the start and finish. 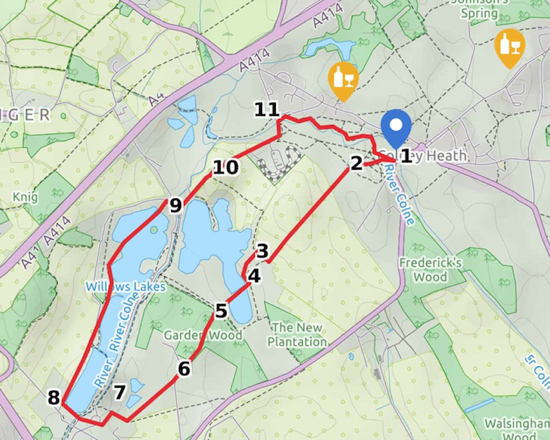 A really nice circular walk starting and finishing at Colney Heath. Park in the small lane adjacent to Colney Heath Common just off Coursers Road, and take the footpath marked Footpath 38 to London Colney which heads left (south west) across the common. Follow the path round to the right heading west until you come to a stile on your left with a footpath heading south. 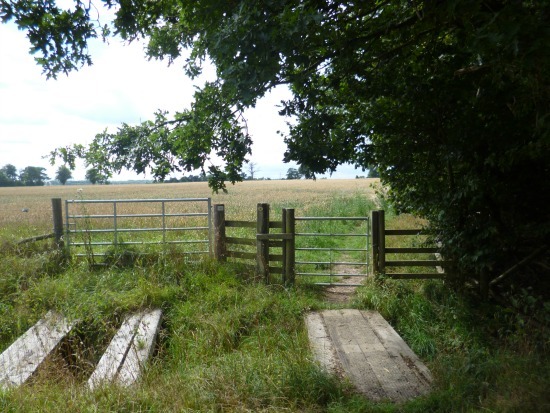 Cross the field, go over a small footbridge with a gate either side, across the next field heading for the gap in the hedge. Here you have a choice of 1) going through a field of horses which is the definitive route, or 2) taking the permissive path around the field. Both end up at the same place. Follow the track through Garden Wood. When you emerge from the wood keep going straight until you reach a track. If you take the track, follow it diagonally across the field heading for the right of the car park on the far side. Here you go through a gate and turn right. Follow this track until you reach the gate into Willows Farm Village, an open farm. Please note: There is a sign on the gate entering Willows Farm Village that is slightly ambiguous and suggests that you need to get a wristband to follow the public footpath. I called to check and was assured that "if you are walking through Willows Farm Village and not visiting the attractions there is no need to obtain a wristband." So, when you reach this sign, turn left and go through Willows Farm Village heading south west downhill through the various attractions until you reach the path leading to the bottom of the lakes. Cross this path and head west and then turn north west following a track used by anglers up the the western edge of the lake. At the point where the track turns left you will see a footpath sign straight ahead. Take this and follow it around the edge of the lake until you emerge at the top. Here you will find a cafe and car park for anglers. Across from the car park you will see a path straight ahead. Turn right down this path. When you reach a junction in the path take the left turn - Watling Chase Trail - and follow it round to the right and back to Colney Heath. You will pass the water works and emerge on a lane. Look out for a footpath on your right and follow it over the common and back to your car. There are a few refreshments options in Colney Heath with local shops and two pubs, The Crooked Billet, and The Chalkdrawers Arms.